We all know we’re currently in an age of intensified information gathering. Regulatory bodies demand data to ensure compliance, sects of business source data to build databases and provide guidance, and individual businesses collect data in order to self-improve. 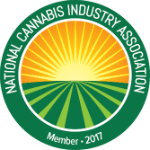 Data collection and validation in the cannabis industry is more important than it has been in any other industry to date. Ultimately, it’s vital to any cannabis business to understand that these two core reasons are why data is the most important asset they possess. For many growers, manufacturers, and dispensary owners, certain data points are required to be submitted to regulatory bodies in real-time for compliance purposes. But once that data is submitted, there’s no undoing it or getting it back. Therefore, it’s imperative to use a software provider that provides direct integration with your given state reporting system to establish a set of checks and balances at your business. The integration eliminates the need to manually enter data into separate systems. This not only ensures accuracy, but it also guarantees the cadence in which the data needs to be reported. Additionally, there will be times where companies are asked to retrieve historical data in order to satisfy audits or prove legitimacy. Once information is submitted to your government tracking system, there’s no undoing it, but having a local set of data allows you to identify any discrepancy and correct it in the event that you’re faced with an inspection or audit. Having quick and convenient access to your historical business data is absolutely crucial if you wish to scale your business. It’s essential to have a system in place that provides many different reports that can be run for historical timeframes and exported to excel. Comprehensive reporting and businesses who take advantage of their data are what will determine who is here in 5 years and who’s not. Like any business, building a foundation of data on which you can later make educated business decisions is arguably the most important aspect of any business that hopes to scale. This not only helps you identify strengths and weaknesses within your organization but also helps you to hone in on industry-wide trends and optimize your inventory to what customers really want. The ability to collect and analyze raw data exported from your own system, as well as the ability to run pre-formatted graphical reports designed by your software provider is also a must. Recognizing industry trends from a high level is key. You want the ability to understand your current challenges and successes within your own business, then compare that to where the industry is headed as a whole. Both regulatory and consumer-driven trends will be applicable. Information and data collection will continue to propel this industry forward faster than any fancy marketing or branding. As data becomes more historically validated, regulatory bodies will write laws based upon what’s worked previously and businesses will innovate based on the trends they’ve recognized to be effective. Those decisions depend on the data your cannabis business collects, making it no surprise that data is the industry’s most valuable asset. Utilizing a software system that not only collects this data but does so in a way that eliminates guesswork and streamlines your decision-making only speeds up that progression. Data will be the difference between the businesses who are still here 5 years from now and the businesses that will inevitably be gobbled up by them.